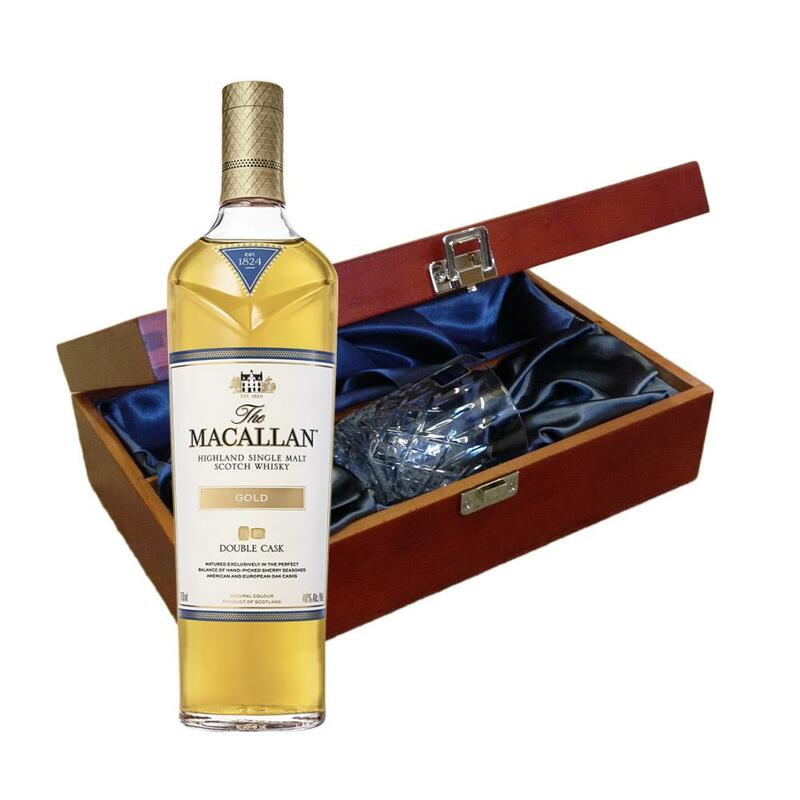 Macallan Double Cask Gold Whisky In Luxury Box With Royal Scot Glass Send a bottle of Macallan Double Cask Gold Speyside Single Malt Scotch Whisky in a lovely box beautifully stained featuring traditional joins with hinged lid and clasp fastening. Along with a beautiful hand cut lead crystal Royal Scot Whisky glass. All gifts come with a gift card with message of your choice.